People in Chinese mainland are surely the first customers of WeChat. Especially for those who work, study or travel abroad, WeChat provides a vital link with their beloved at home. A mobile phone user uses the messaging app WeChat of Tencent in Ji′nan, east China′s Shandong Province, May 7, 2017. French girl Sarah Bousquet will start her first job in China by the end of August. When asked how she would keep contact with relatives and friends at home, she said WeChat can help. Developed by Chinese Internet giant Tencent in 2011, instant messaging application WeChat also has payment service and semi-overt "Peng You Quan" or Moments, a platform for posting microblogs but being more private than Facebook. "All my family use WeChat and so do some of my friends." She told Xinhua WeChat is not so popular in France but her friends want to use it for her, because on it they can chat and follow her daily life in China. In fact, it has been two years since Bousquet opened her WeChat account. She is part of the app's huge customer base of over 938 million active users in China and abroad. In 2016, 544,500 Chinese left home to study abroad, according to China's Ministry of Education. Along with them, Chinese images, cash flows and much-loved apps like WeChat also go abroad. "When I was once assigned with a group task with four Chinese and two South Korean students, the two Koreans suggested using WeChat instead of Kakaotalk, a local social platform," Zhang Fangfei, a Chinese student in Pusan National University (PNU) of South Korea, told Xinhua. Given a large quantity of Chinese students in PNU, Zhang's fellows soon found WeChat favorable when doing teamwork with Chinese. "After that, they joined the active users of the Chinese app," the Chinese girl said. Foreigners studying or working in China in recent years download the app in their phones as naturally as they start learning how to use chopsticks. Yannick Benichou, 34, became a WeChat user shortly after he came to work in China in 2012. He is now a much more active user even than his Chinese wife. "I made all my family in France use the app, at least 15 members, including my grandparents who are 85 and 88 years old," said Benichou, who worked in Handan, Shanghai and now lives in the southern Chinese city of Kunming. As a father of two kids, Benichou loves to share his happy life with his French family via WeChat's "Peng You Quan." The app is very convenient when it comes to paying for daily consumption, making an appointment with a doctor and even riding a shared-bike on the street. "It's easy and fun to use," Benichou added. He once shared a picture of his parents' avatars generated by MYOTee, a Chinese cartoon avatar maker in fashion in 2014. The senior couple's faces looked like comic cats in that picture. WeChat team confirmed in August, 2016, that the overseas version of the app has more than 80 million users by then, most of whom were mapped in Asian countries or had business ties with the oriental country. French girl Lison Leonetti told Xinhua that during her first two visits to China in 2013 and 2015, she only used WeChat's messaging function. This year, she can enjoy its payment service with a Chinese credit account. The fact that WeChat's payment service is only open to those having accounts in Chinese banks somehow hinders the app's expansion in foreign markets. However, for those having close relations with Chinese people and a true affection for China, it's not a big problem. Malawian guy Andrew Horris began to use WeChat while he studied in Beijing Normal University from 2014 to 2017. Besides messaging and updating "Peng You Quan" on WeChat, Horris created a link between the app and a web page of his shop providing overseas purchasing services. "We believe that very soon it (the app) will become international and will be in many languages including but not limited to English," Horris said, adding that the app has a bright future in Malawi. 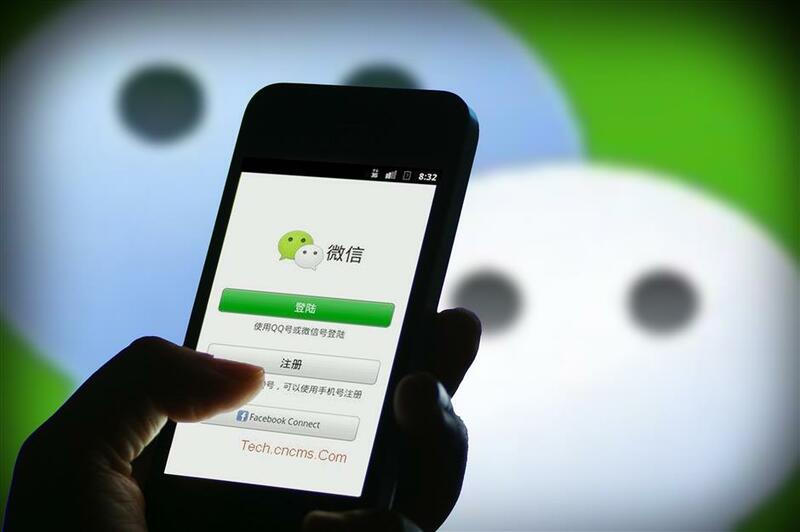 WeChat's payment service brings big trade and business opportunities on the app. As armies of Chinese tourists go abroad, more and more foreign service-suppliers use the app to attract Chinese. The WeChat wallet has so far landed in 12 countries and regions, including Thailand, South Korea, Japan, Singapore and New Zealand, serving as a payment tool for catering, transportation and so forth. It is available for more than ten foreign currencies. "I use it a lot while working," said Suman Shrestha, a Nepalese guide who runs a travel agency targeting Chinese travelers. "My Chinese customers taught me to use WeChat six years ago and I find it easy to handle and very useful," he said, adding he hoped more Chinese people would come to tour in Nepal.